Q1: What was the name of the semi-autobiographical novel Detective (and would be author) Nathan Harris (played by Ron Glass), eventually published? Q2: Who was the gambler on Barney Miller? 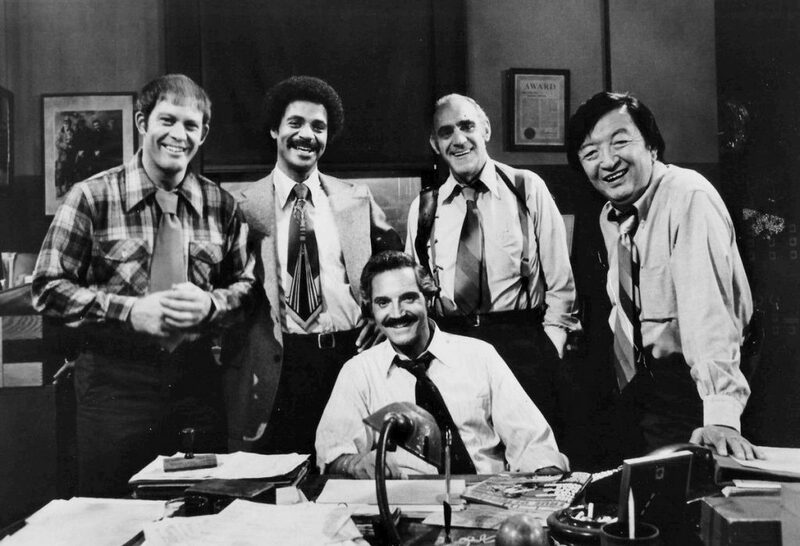 From 1975 to 1983 the Barney Miller sitcom starred lead actor Hal Linden, playing the grounded police squad Captain Barney Miller. 83 year old Hal Linden still acts today, mostly in television roles. Veteran character actor Abe Vigoda played "Fish" (senior Detective Philip K. Fish), whose reluctance to retire and health problems related to his age, were continuing plot-lines throughout the series. Perhaps the only thing Abe Vigoda had in common with his character on Barney Miller was a reluctance to retire - despite a mistaken report of his death by People magazine in 1982, Vigoda is now age 93 and has acting credits as recently as 2008. Although series regulars Hal Linden, Abe Vigoda, Max Gail (Det. Stanley "Wojo" Wojciehowicz), and Gregory Sierra (Sgt. Miguel "Chano" Amangual), are still acting in their senior years, other squad members Steve Landesberg (Det. Arthur Dietrich), Ron Carey (Officer Carl Levitt), Jack Soo (Sgt. Nick Yemana), and James Gregory (Deputy Inspector Frank Luger) have all passed. Update: Actor Abe Vigoda passed away on January 26, 2016 at the age of 94; Ron Glass died on November 25, 2016 at the age of 71. A1: Blood on the Badge. Ron Glass has not published a book in real life as yet, but is still acting today, primarily in television. A2: Actor Jack Soo played wry detective Sergeant Nick Yemana, who loved to gamble and made bad coffee. Jack Soo contracted cancer and died in 1979 at age 61. In a tribute episode after his passing, the cast raised their coffee cups in a salute.